Intense floral aroma with complex flavours of dark plum, raspberry and cherry and a hint of dried herbs. Intense floral aroma with complex flavours of dark plum, raspberry and cherry and a hint of dried herbs. Gibbston is the coolest of Central Otago’s six grape-growing sub regions, with the bunches remaining hanging on the vines until late autumn. 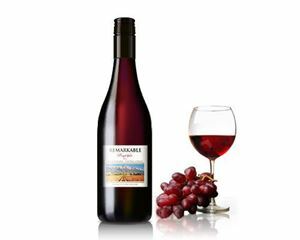 The cool climate produces a lighter style of Pinot Noir compared with that from Bannockburn, but it results in a very aromatic wine with lovely herbal flavours and very smooth on the palate with extended length. Produced from grapes organically grown in our Bannockburn vineyard.